With the recent revelation that Pivotal will stop sponsoring the Groovy and Grails projects after March of this year, I want to give some of my own thoughts on where this leaves the two projects and what their future might hold. I’ll do this across two blog posts, starting with Groovy. As far as I’m concerned, Groovy doesn’t need any major changes in the near term and so it’s not a big deal if its development slows down. It supplements Java well and provides enough differentiation that it’s worth you using Groovy over Java. It’s great for scripting, Spock is fantastic for unit testing, and Groovy works really well with Spring Boot, Ratpack, Grails, Griffon and other application frameworks. And those are just a fraction of its potential use cases. The language also benefits from an existing open development process, probably because it originated as a collaborative project between people from different companies. So even if the Groovy team is broken up – something I hope can be avoided – I can’t see there being significant disruption. You’re seeing one of the key benefits of open source software: it survives beyond the withdrawal of a key sponsor. You can’t really say that about commercial software. 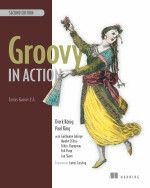 And while Groovy satisfies a need among developers, you can be sure it will thrive and prosper. To sum up, Groovy has reached a stable place that puts it in good stead whatever the future might hold. It should still be an essential part of every Java developer’s tool chest. Development may or may not slow down, but it will continue. And I have my fingers crossed that Guillaume, Cédric, and Jochen will find new homes swiftly and I hope they manage to stay together as a team. One final thought: on the last Groovy Podcast (audio-only version) I half-jokingly said that Google would sponsor Groovy. Of course, I don’t know whether that will happen, but in light of Swift for iOS development, I think it’s something that Google should definitely consider. I’m sure a more productive and expressive alternative to Java would be more than welcome within the Android development community and it fits nicely with their use of Gradle for the build system. Let’s see what happens! The Grails post may take a bit longer to appear as I think there’s more to say for that. This entry was posted in Groovy & Grails on January 22, 2015 by Peter. I know you’re not exactly saying that Groovy is “done”, but I think there are some very obvious areas for improvement, e.g. Peter, I definitely agree with you in terms of Groovy and its eco-system of apps and frameworks being in a strong position. My only concern is, without a key sponsor, some companies will be more hesitant to adopt Groovy, Grails, etc. without some kind of support mechanism. Even though they may never use it, some C-Level types insist on having support contracts ensuring someone, somewhere will answer a production support call at 2:00am. Personally, I’d love to see the formation of an independent, Groovy-centered consulting, training and support company to take up the Groovy umbrella, a la G2One. Except with all the offshoots based on Groovy, and the endless possibilities, the company name should be more like … InfiniteGroovy! Thank you so much for the update. It is nice to hear that you are so committed to the technologies! Now we know that the sponsors are the OCI…. 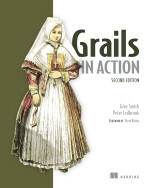 I really wanna start a project with GGG with Grails 3.0.1. But now, I have a lot of concerned issues, especially about framework support. I really agreed that the language (Groovy) born mature and achieve many useful “functionality”, but what are the “guarantees” in a long term (to me, long term is about 3 years)? I am also curious to hear your response to Carvo’s question. It would really help for a couple of things I am looking into too. Appreciate it. I haven’t seen any information on what direction they want to take Grails, but this initial level of commitment suggests they’re in it for at least a few years. As for Groovy, there are no guarantees. But then, there aren’t really any guarantees about any project! The list of Groovy committers has grown recently and the user base is quite large, even though I’m not sure how to interpret Guillaume’s download numbers (country and IP distribution would be useful). These are good signs and I expect the project to continue in good health for some time. My view is that as long as people are doing Java, there is space for Groovy and the project will thrive.